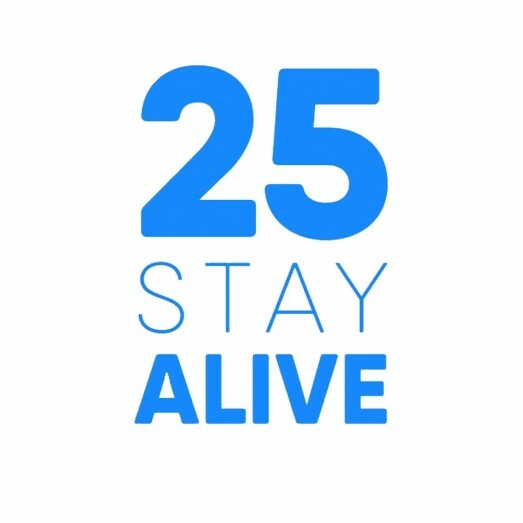 25StayAlive is all about raising awareness to younger men and women, and making them realise that they are not invincible. Being health conscious and aware of your body might just save your life one day. At the moment a lot of health campaigns encourage people in their 50s to get routine checks, but why wait until then? You are never “too young”. 25 is the new 50... don’t wait until it’s too late. Rawson Verco Need $50 Great effort Andrew and traffic cause! Brad Bowden $50 80km sounds like very thirsty work Walshy...go well. Tavistock Property $100 Well done Walshy - great cause. Susan Treglown $100 Good luck Walshy...Enjoy!